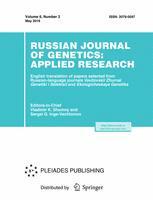 Prebreeding research of near-isogenic lines of spring bread wheat with a combination of translocations from Agropyron elongatum (Host.) P.B. and Aegilops ventricosa Tausch.